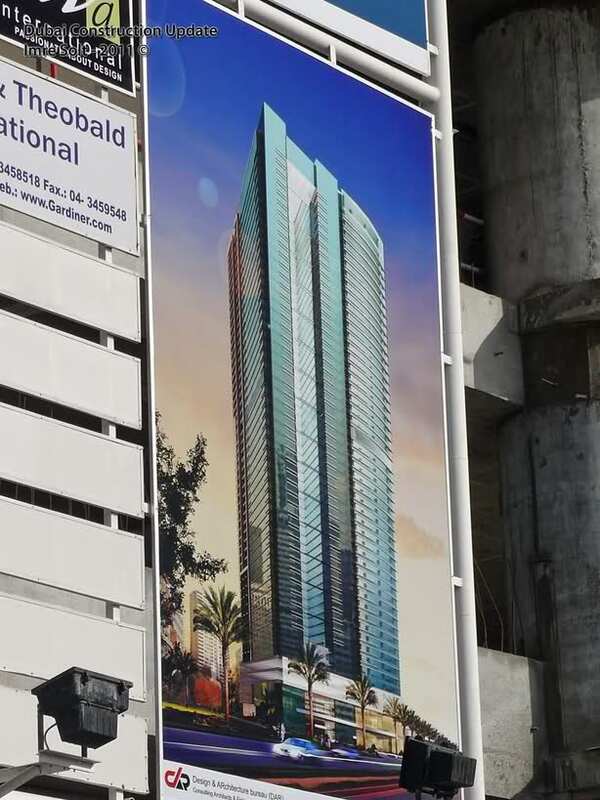 Emirates NBD and First Gulf Bank have agreed a $245m (AED: 900m) funding deal with Abdulsalam Al Rafi Group to provide finance for the Burj Al Samal tower on Sheikh Zayed Road. 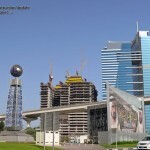 The towers are a series of three linked buildings – one office, one residential and one hotel – on a prime site at the start of Sheikh Zayed Road by the World Trade Center roundabout. 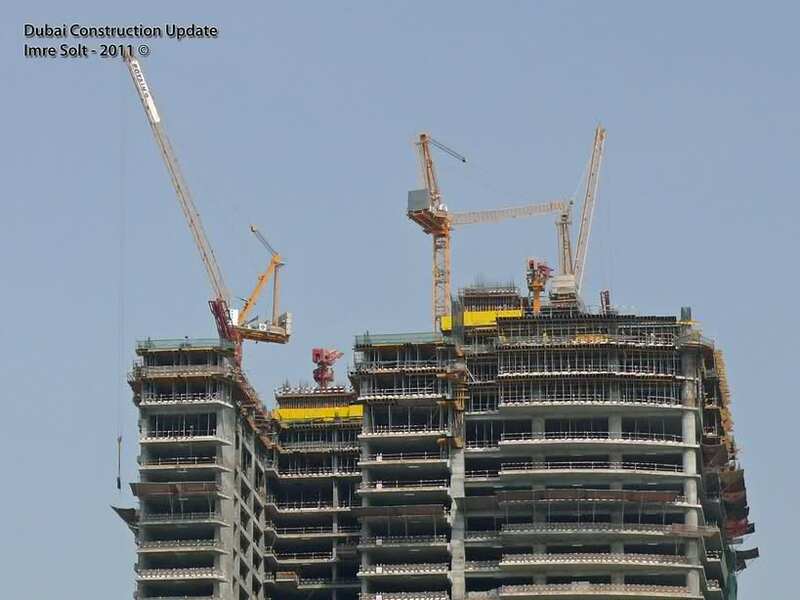 The towers are being developed by Abdulsalam Al Rafi Group and are being built by Dubai Construction Company. 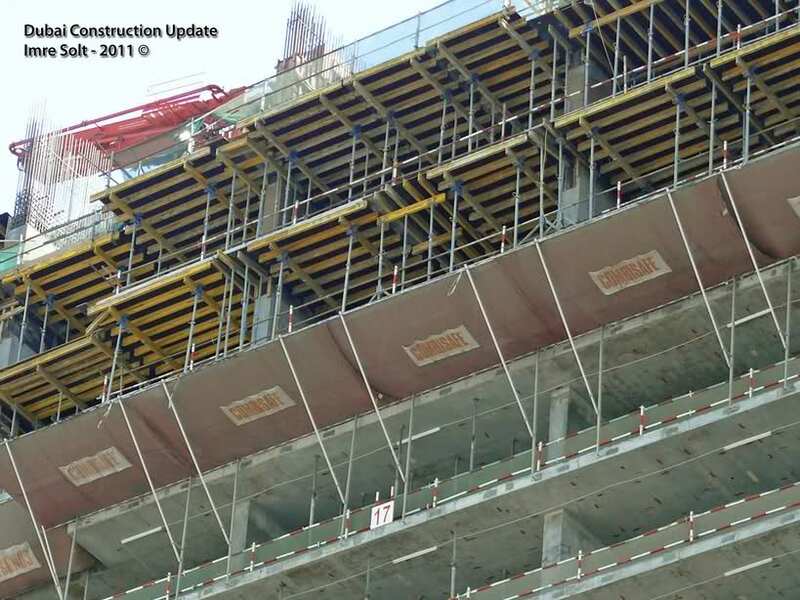 They are linked at the base base a large podium containing four basement levels, a ground floor, mezzanine and two mechanical floors. 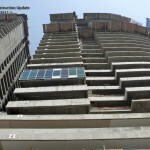 Above this, there are 54 upper floors. 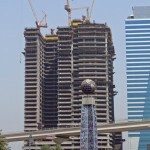 The hotel tower has been taken by Starwood Hotels, which will open a Sheraton Dubai Tower hotel in the complex next year. 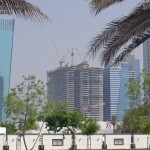 The office building and the residential towers are due for completion in September. 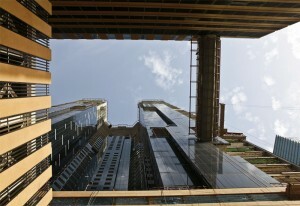 The money is being used to help finance construction of the towers, the banks said. 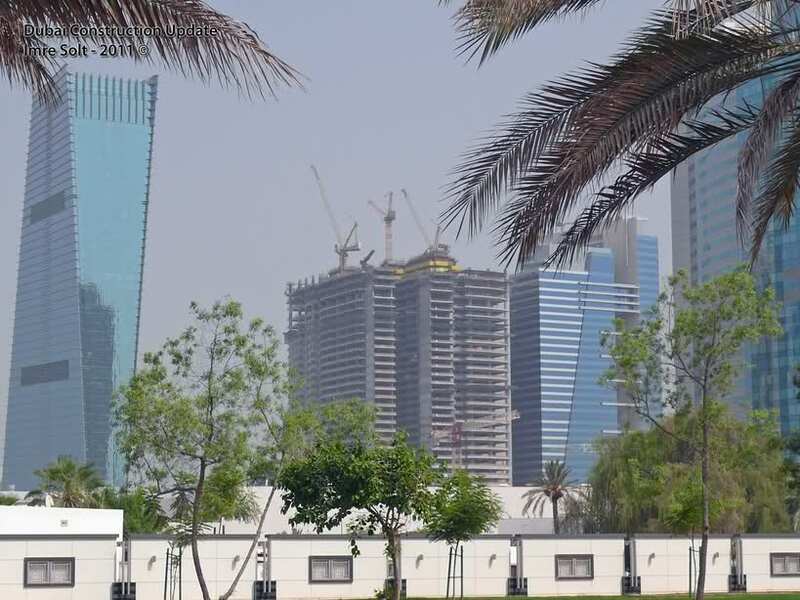 Emirates NBD, which was lead arranger for the loan, said that deal highlighted its intention “to form strategic alliances with leading financial and corporate institutions” in the region. 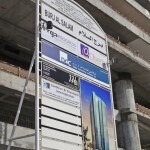 Work initially began on the site several years ago with Belhasa as main contractor and it built the structure up to sixth-floor level. 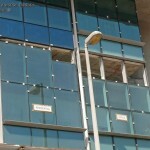 However, work stalled during the financial crisis and DCC was contracted to finish the project in September 2010. Once complete, the tower will have a built-up area of 290,143m2 with an additional 44,695m2 of car parking to the rear. 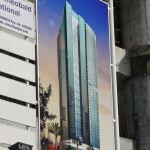 It has space for 281 offices, 477 hotel guest rooms and 180 serviced apartments. 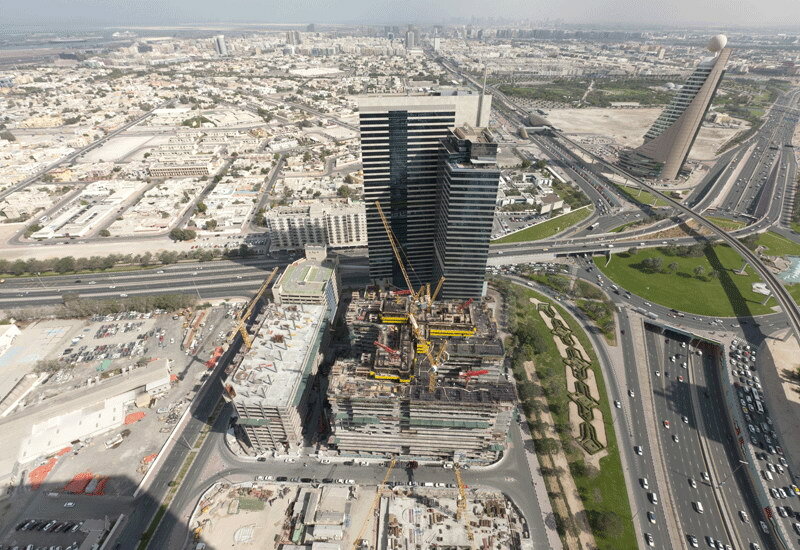 The finishing touches are being applied to a major new Dubai tower complex which has the prestigious address of No.1 Sheikh Zayed Road. Michael Fahy takes a look. 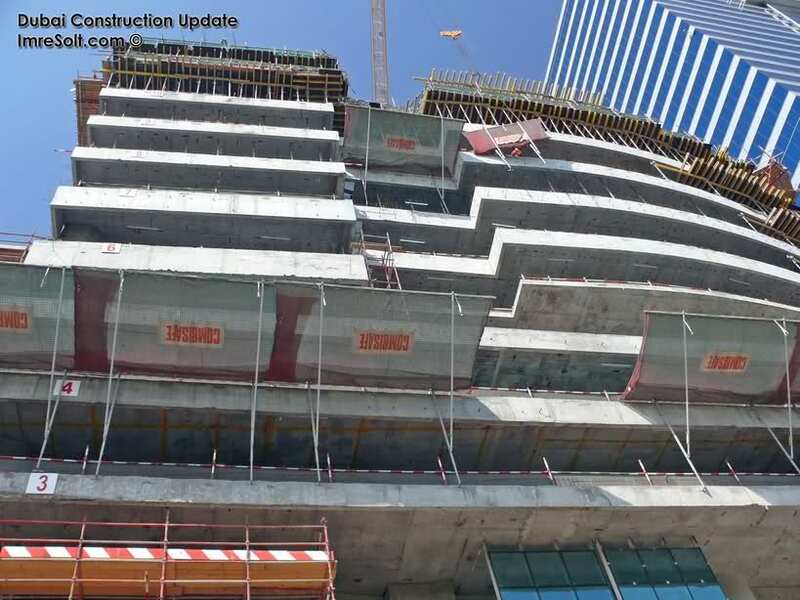 Mazan Hallak, the project manager of Dubai Construction Company (DCC), is clearly proud of the work his company has undertaken at Burj Al Salam on Sheikh Zayed Road since the firm took over the project in September 2010. 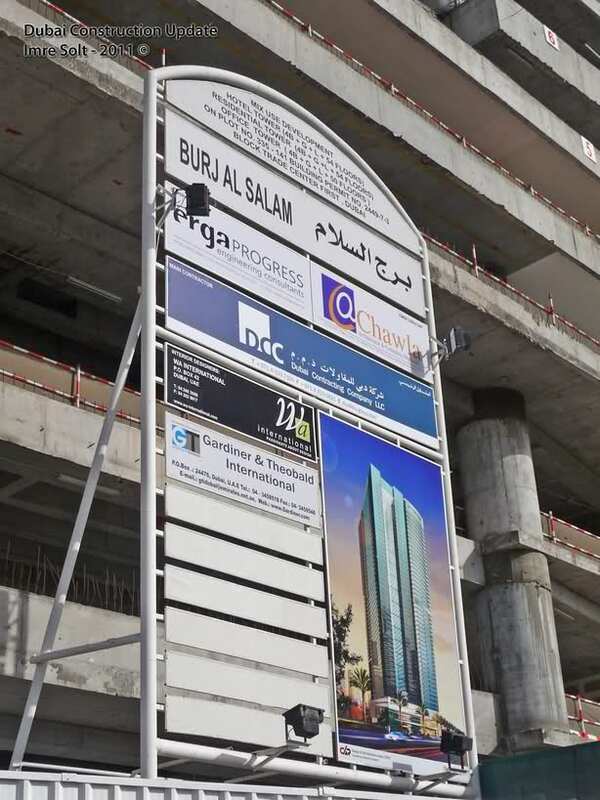 Burj Al Salam consists of three towers containing a hotel, offices and serviced apartments which are linked at the base by a large podium. 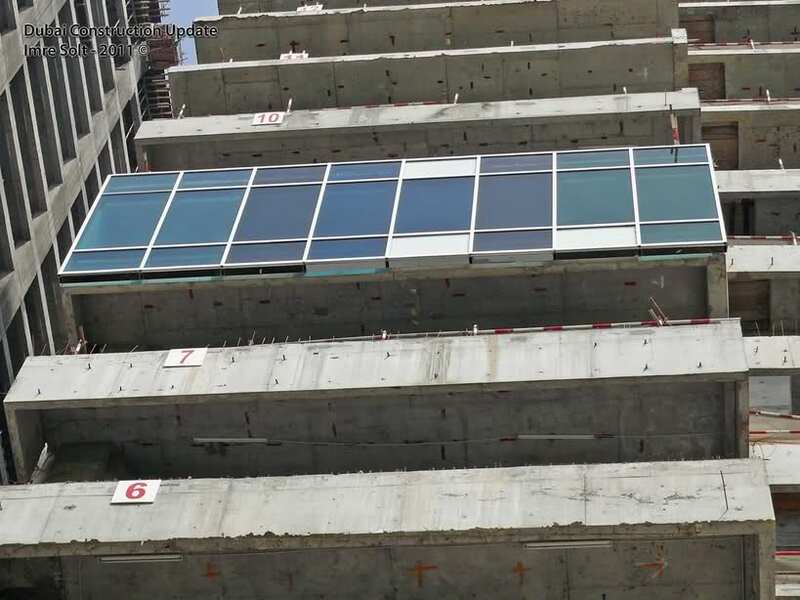 There are four basement levels, a ground floor, mezzanine, two mechanical floors and 54 upper floors. To the rear of the building is a 14-storey car park topped by a health club for exclusive use by residents of the serviced apartments. 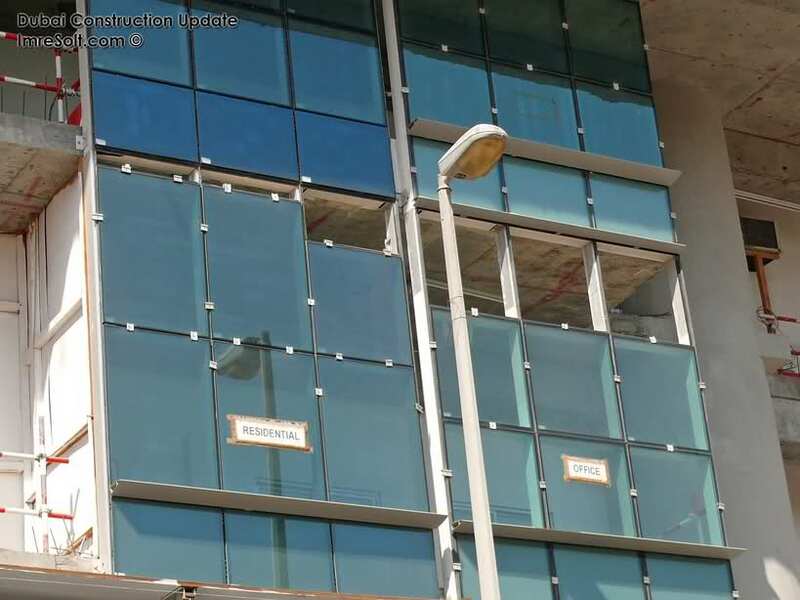 It is linked at ground and first floor level for those wishing to access the hotel and offices, and again at 11th floor level for residents. 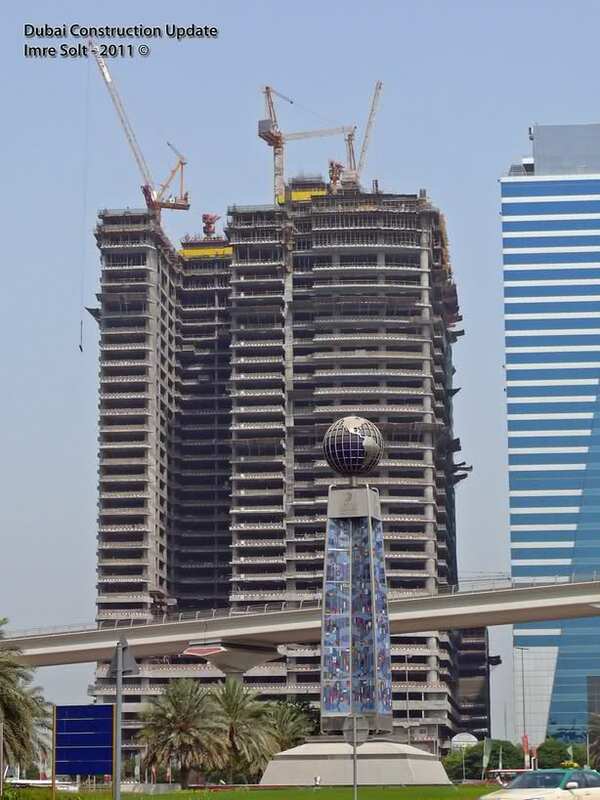 The project’s location certainly high-profile – its address at Number One Sheikh Zayed Road opposite Dubai World Trade Centre makes it one of the most visible sites in the city. 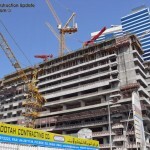 This has meant that DCC’s senior management – including CEO Abdallah Yabrudi and COO Jamal Halwani – have kept a close eye on it. 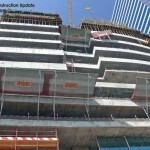 Dubai Contracting Company LLC (DCC) is fast-tracking the $194m Burj Al Salam mixed-use project at No. 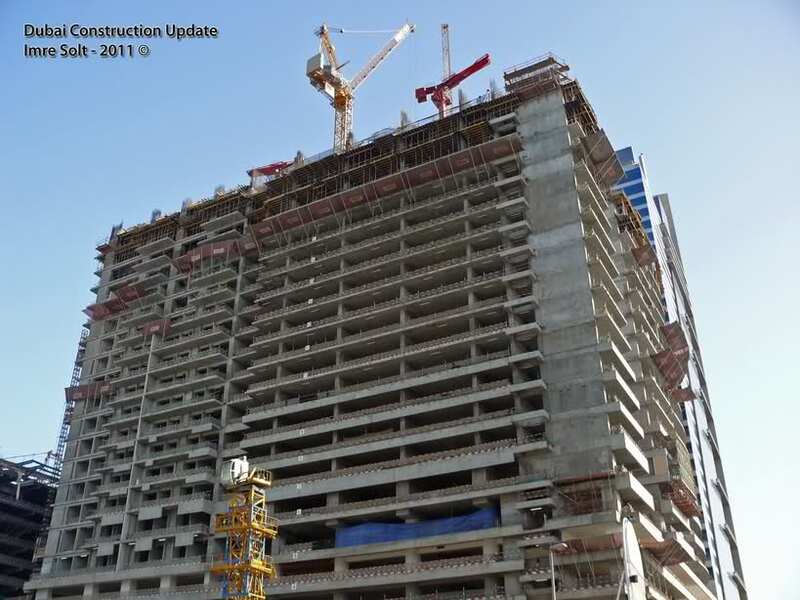 1 Sheikh Zayed Road, next to the Monarch Hotel, for a November 2012 delivery. 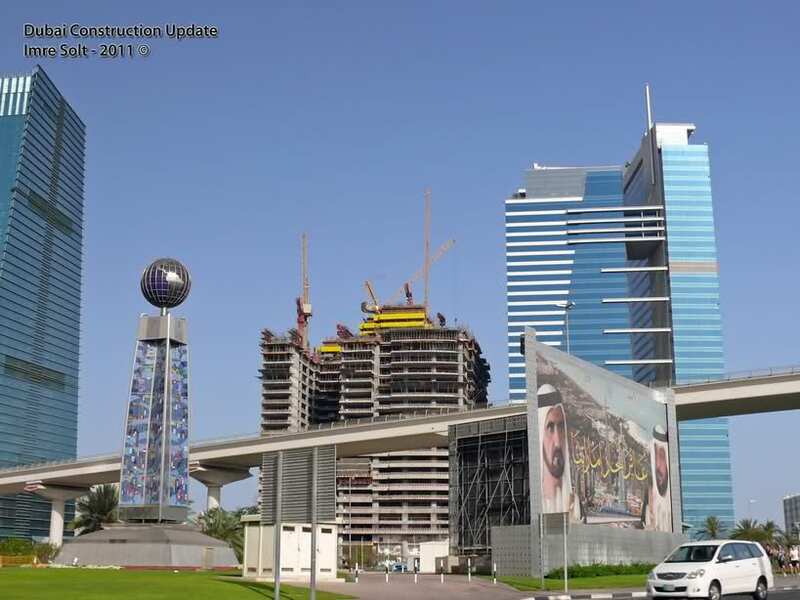 “DCC took over the mixed-use development project from another contractor in November 2010, and is committed to a very tight schedule to complete what is essentially three towers in the space of one,” comments construction manager Hatem Al-biss. 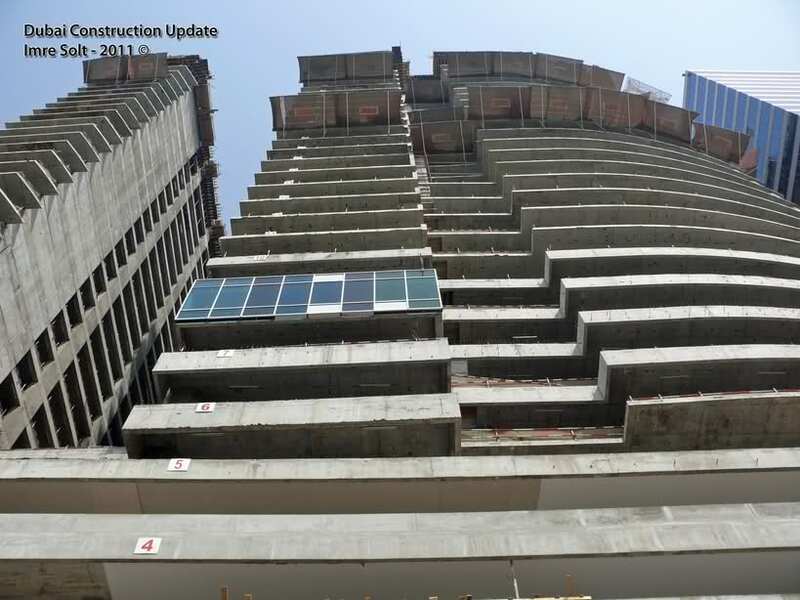 The project comprises a hotel tower with four basement levels, a ground floor, a mezzanine, 54 additional floor and two mechanical floors. 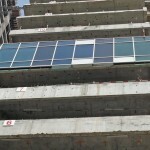 The residential tower has 54 additional floors and two mechanical floors. 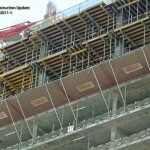 Lastly, the office tower has 50 additional floors and two mechanical floors. 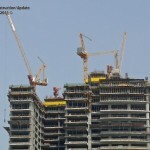 All three towers are linked at the base by a four-storey podium, and will again be interconnected at Level 10. 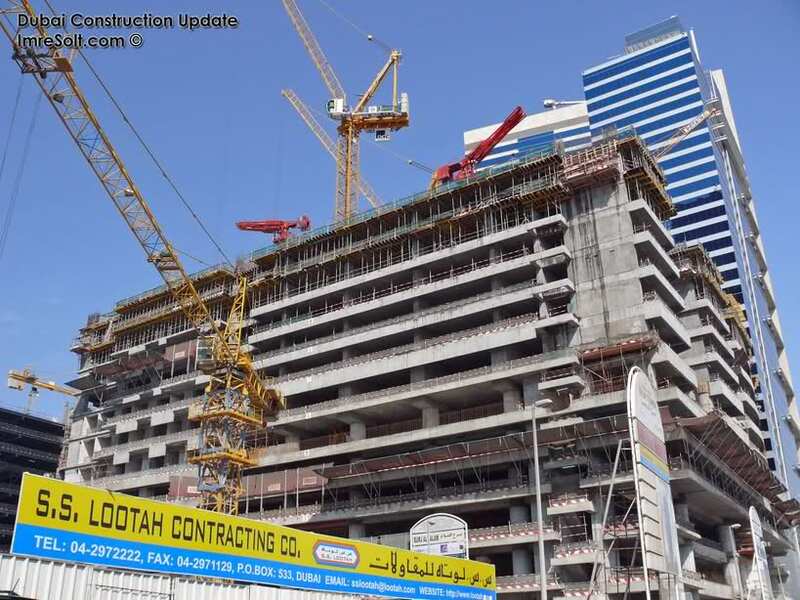 DCC is working on all three towers simultaneously, with both major time and space constraints, completing four floors per month, with each floor covering 4,800m2. 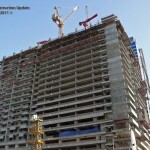 A total of 2,600m3 of concrete is being used on each floor.